We produced a set of replicas of the circular ends of spent bullet casings which had been ejected after being fired from a weapon. Each casing bears three characteristic “fingerprint” marks on it, that can be used by a police forensic examiner to determine whether a given bullet was fired from a particular gun or not. The inspection equipment used by examiners in different cities must be calibrated in the same way, and for this purpose they must all use identical standard casings bearing identical “fingerprint” marks. The traditional way to produce a large number of bullet casings all bearing the same “fingerprint” marks is to fire several live bullets into a tank of water, using the same weapon. 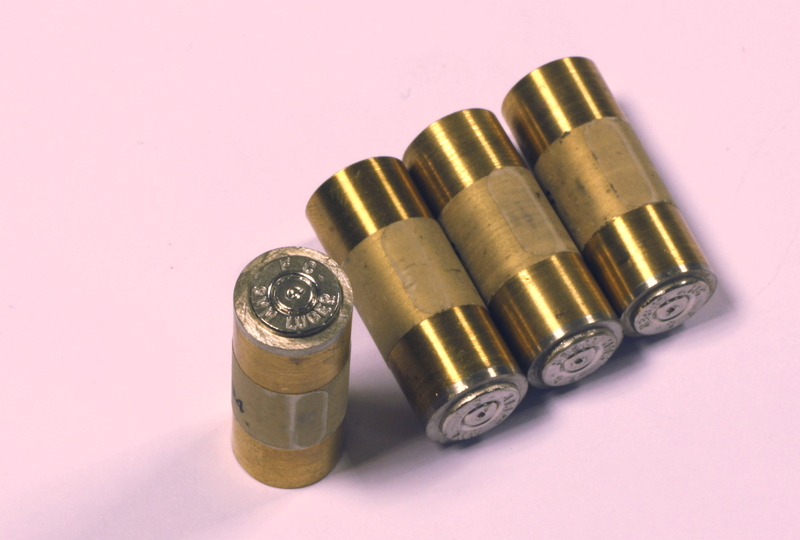 The resulting bullet casings will have very similar markings, but it was found that a set of electroformed replicas of a single casing displayed greater uniformity of markings.